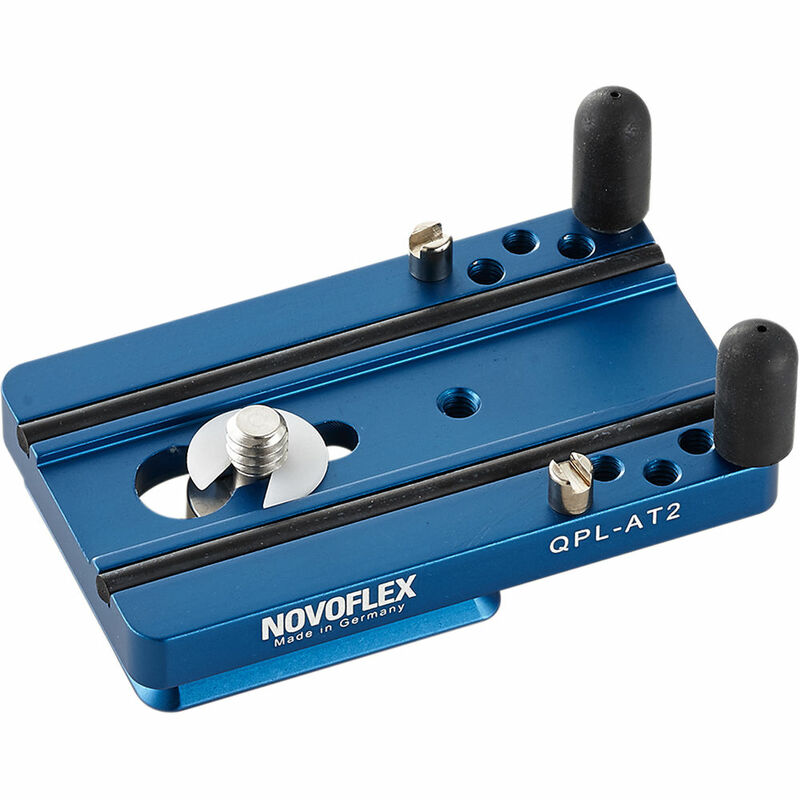 The Novoflex Q=Plate series QPL-AT2 Quick Release Plate fits any Arca-type quick release system (except the Arca Swiss Flip-Lock). This plate features 1/4"-20 and 3/8" camera screws, video location pin, and adjustable anti-twist pins. Its base is configured to slip in from any direction. The bottom edges are dovetailed for smoother loading and unloading from the clamp, as well as less abrasions. The screws of the Novoflex plates work with both traditional flathead screwdrivers as well as 5/32" Allen wrenches. Box Dimensions (LxWxH) 3.3 x 2.3 x 0.4"